Lazy Sundays are perfect for cooking wonderful family meals. Sunday dinner, a tradition in our home, has all our family coming to our home to enjoy sharing time and food as a family once again. 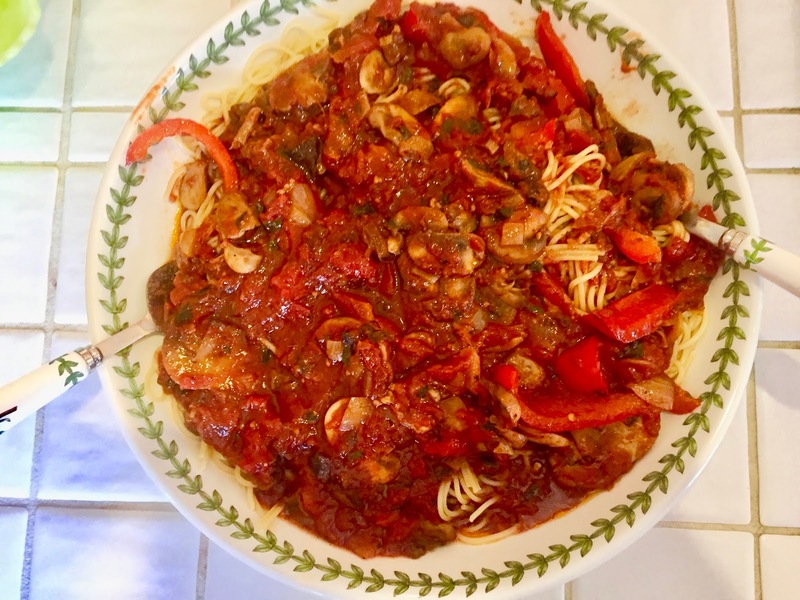 From my Italian heritage shared with me by my mother who masterfully created a different feast every Sunday, I learned to cook and gather my family together to enjoy my food. With a busy life style I look forward to languishing on Sunday preparing a bountiful meal without hurrying through the preparation. 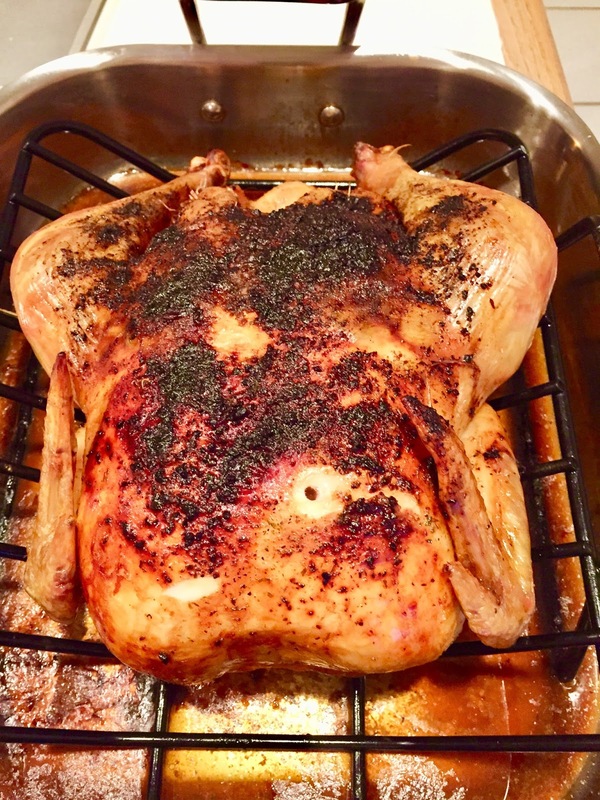 Roasted Chicken is easy to create with many different seasoning that bring out the flavor of the chicken. 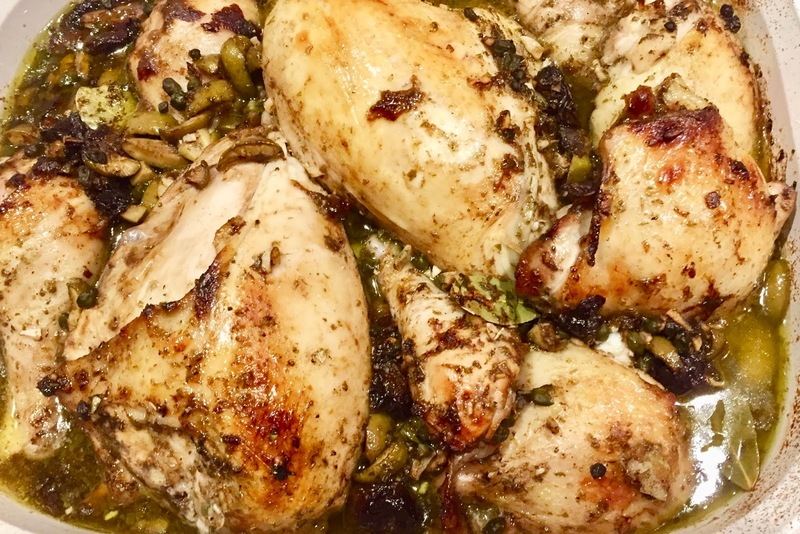 I love to experiment with different ways to make a whole chicken from marinating to roasting. 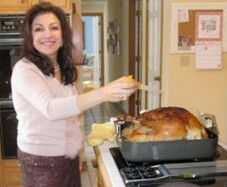 However you choose to cook a whole chicken be create and have fun! Remove the chicken giblets. Rinse the chicken inside and out. Remove any excess fat and leftover pin feathers and pat the outside dry. Liberally salt inside out of the chicken. Place on a large plate cover and refrigerate over night. Rinse chicken and pat dry. Put chicken in roasting pan. Stuff the cavity with the bunch of thyme, both halves of lemon, and all the garlic. Brush the outside of the chicken with olive oil, sprinkle sage, thyme, salt and pepper over chicken. Tie the legs together with kitchen string and tuck the wing tips under the body of the chicken. Roast the chicken for 1 1/2 hours, or until the juices run clear when you cut between a leg and thigh. Cover with aluminum foil for about 20 minutes. Slice the chicken onto a platter.